Wispy, soft tissue like fabrics with gorgeous designs, Brasso is unique in every sense of the word. Also popularly known as ‘burnt out fabric’, brasso has been around for years and has been a great source of creative inspiration for craftsman and designers across the world. From lehengas to saris, and salwar kurtas, brasso has been a defining niche of Indian fashion across various style spectrum. The fabric can vary from Chiffon to Velvet, and even Corduroy. Moreover, it can be textured in various ways and has an exclusive sense of style unlike other fabrics and designs. This technique was prevalent in the medieval times as well, and was used to make bridal lehengas, gowns and other attires which presented royalty and glamour. Brasso truly defined high end apparel and clothes worn by people who belonged to the elite class. 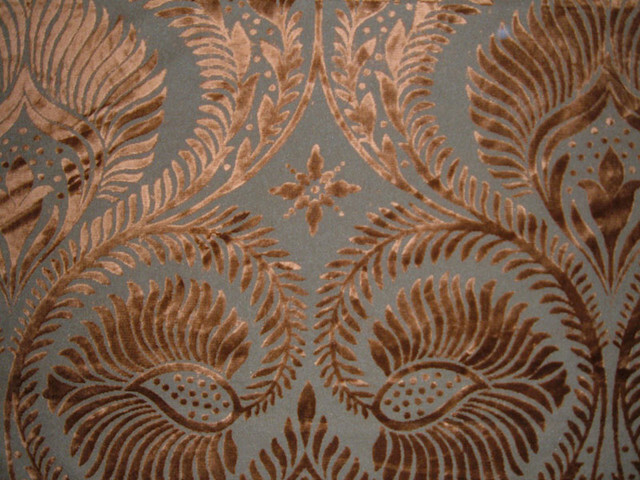 Initially the fabric used for brasso was mostly cotton, but with the passage of time this technique was also applied to other fabrics. Brasso is generally made out of an acid itch process which involves the burning of fabric in order to create a more textured design. This technique can be applied to all kinds of soft fabrics like tissue, chiffon, silk, and velvet. This technique is beautiful, ornate and looks glamorous on all kinds of Indian ethnic wear. The flowy drape like appeal that is intrinsic with a traditional style is an inherent quality present in Brasso. Several Indian designers like Sabyasachi and Manish Malhotra have experimented with brasso to a large extent and have used their creative genius to make the fabric popular across various mediums. Resham, zari, brocade, and patch work is very popular and such designs are common with gorgeous looking saris and lehengas. Net dresses and skirts look very trendy and chic as well, and are a classic hit with the youth. Backless and choli style blouses go very well with in brasso. Quarter sleeved, vintage style sari blouses in brasso have also gained a lot of momentum in the Indian fashion circuit, and various Bollywood actresses like Deepika Padukone, Madhuri Dixit, Vidyabalan and Sonakshi Sinha have been seen flaunting this style. Apart from saris, brasso fabric looks divine in long flowy Anarkali suits with large floral motifs and embellishments. Phool patti work, gota, and kundan have become a major trend with brasso fabrics and are attires that women love to wear during weddings, parties, large scale events or for traditional festivals and rituals. Brasso style fabric looks great in all sorts of colors that range from mehendi green, red, pink, yellow, black, cream, white and even gold. Apart from brasso sarees, salwar suits and lehengas, brasso fabric is also widely used in lingerie, cushion covers, curtains, table cloths, scarfs and bed spreads. Brasso defined accessories give off a more luxurious and elaborate look to one’s home, and are also considered high end in terms of style and fashion. Brasso is a delicate fabric and therefore requires gentle care as well. Whether it’s a sari, salwar suit or a lehenga, one must send in their brasso made attires for dry cleaning in order to get the best results. Also, keeping the clothes in an air tight box is advisable in order to keep the longevity of the fabric, design and color.